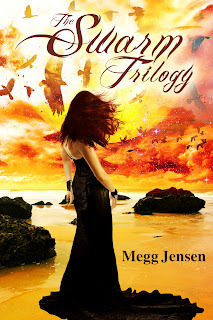 We welcome Megg Jensen to our blog today as we host The Sundering Blog Tour presented by Bookish Brunette Book Tours. We have an interview with the author and there's a really cool medieval giveaway to enter. Our review will be posted soon. Anathema is available on Amazon for Kindle and at B&N paperback. 1. How do you create your worldbuilding and does it get harder or easier with each installment in the series with regards to adding new characters and conflicts? Worldbuilding is an immersive process. I keep journals about my fictional worlds and weave pieces of those thoughts into my books. The worlds grow along with my books as characters travel to new places. It's just as exciting discovering a new place in fiction as it is in real life. 2. What has been your best experience as a writer? Getting recognized by SCBWI (Society of Children's Book Writers and Illustrators) and receiving PAL (Published and Listed) status. That's usually reserved only for books published by the big guys. I'm the second self-published author to receive that honor. 3. Will any of the characters from The Swarm Trilogy get their own spin-off series or will they make an appearance in another work? 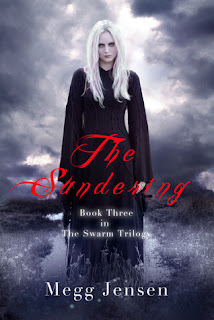 The Swarm Trilogy is actually a continuation of my earlier trilogy, The Cloud Prophet Trilogy. Some of the characters from the earlier books show up in Afterlife and The Sundering. 4. How do you face the end of your trilogy? Are you excited/sad to say goodbye to these characters? I am excited and sad. I'm excited to move on to new characters and plots, but Lianne, Bryden, and Chase will always hold a special place in my heart. 5. Are you a pantser or plotter? I have another pen name, Isobel Lucas, and I'm releasing an urban fantasy series starting in October. I'm really excited because these books are so different from my high fantasy. 7. 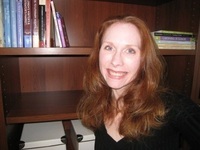 Why did you decide to write for the young adult market? What are your feelings about the YA market in general? I adore teens. The world still holds hope and promise for them. It's an equally hard and beautiful time of life. I'm working on reading the first trilogy and can hardly wait for this one! Congrats Megg!